I wrote this post after the 2010 Superbowl. Do you remember that game? I am not a huge football fan, but I do understand a few basic things, thanks to my football coach husband. This past weekend (Feb. 7 2010) the Saints won the Superbowl. Now, I will be honest, I went to bed before the fourth quarter, so I didn’t see this huge interception that locked the game for the Saints, but I understand that it was pretty exciting. People were on the edge of their seats. Was Manning going to go for this long pass? He did but the Saints intercepted the pass and took it for a touchdown. Many, many people celebrated. I had to ask myself, do we get that excited when we see God intercept in peoples lives? Do we jump up and down and just praise Him? Does the church really celebrate when we hear a marriage has been saved, a drug addict has walked away, an alchohalic has been set free? I had shared with my church about my strained relationship with my sister. That I was praying that God would bring her home. He did atfter many months of praying. So I celebrated that one Sunday morning. I did not expect the church to get up and clap and they didn’t. But afterwards someone came up to me and said she felt like she wanted to clap, to celebrate that God had answered my prayers, but she felt she couldn’t. My question is, if we can’t celebrate in our church God intercepting in lives where else can we? Why is okay to yell and scream when your football team intercepts the ball but not when God intercepts a life? Why do we get angry and yell when our team looses the ball, but we don’t get angry at the Enemy when we see Him destroying marriages and taking away our children’s hope for the future? Picture the ball that Manning threw but now think of that ball as the drug addict, the Enemy is in control of the that life and he thinks he has it, he is taking that life all the way down to the pits of despair. He drops back and waits for the perfect moment, he sees one of his demons ready and willing to finish the job. He throws that life and it goes whizzing down, down, down, all hope is lost, until, wait, what is this… a saint? Where did this guy come from? He leaps up out of no where and takes that life and tucks that life into his arms and he goes running. The enemy is flustered, they try to chase him to stop him from taking that life all the way Home but they are no match for this saint. Before they know it the saint has taken that life and placed it in the Kings hands, a touchdown. Another life is saved. The church goes wild, they can’t believe it, but they celebrate and they can’t wait for it to happen again. Is that me, is that you, is that us? We needed to celebrate each and every life that we see God intercept. Get on the edge of your sit, it’s going to be a good game. Has God intercepted in your life recently. Care to share? We would love to celebrate with you. This is the second book in a series. I reviewed the first book here and really liked it so I was eager to read this second one. I am happy to say I enjoyed this one just as much. Daphne’s a great character. She’s like so many of us when it comes to romance….confused. We get to visit the same men that were in her life in the first book and see what’s happening now. Not a whole lot has changed. At the end of the first book you are under the impression that Daphne might set her sights set on Jake, her grandmother’s attorney. At the beginning of this book, almost for the first half, Jake isn’t around, but definitely thought off. Apparently he went on a vacation with his ex-wife and obviously Daphne isn’t happy and thinks things are not going to go anywhere with him. So she tries to move on. I can’t imagine being in Daphne’s shoes. 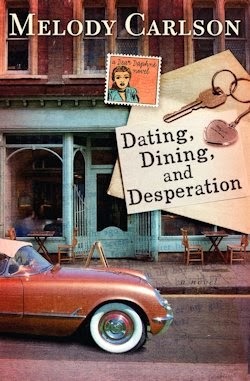 We are told to wait on God, which is a theme in this book, yet, how does she wait on Him when she has to be married in less then a year? This definitely keeps the book interesting and will have you reading to see what will happen next in her life and what man she should marry. Melody does a great job of even keeping the reader confused about the right man. This is a light, fast read, with fun characters I think you will enjoy. Today I have three authors to share with you. JoAnn Durgin, Jennifer Slattery and Valerie Comer (who has been here a couple of times already and will be here again). 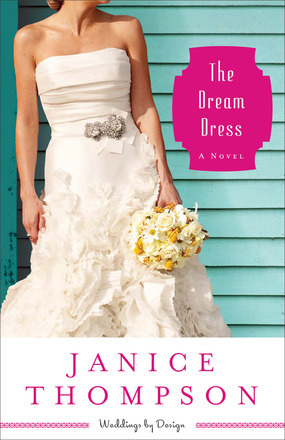 Take some time to get to know these lovely women and enter to win JoAnn’s book. 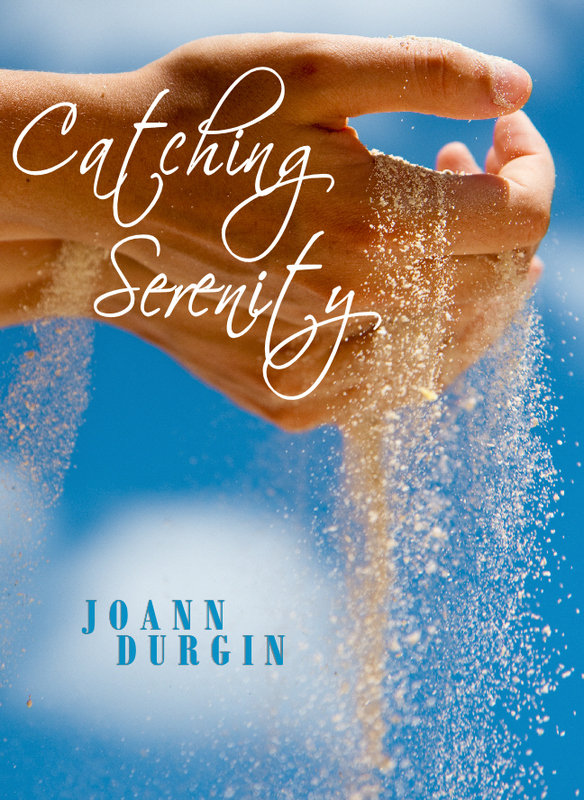 Catching Serenity is JoAnn Durgin’s fifth full-length novel. 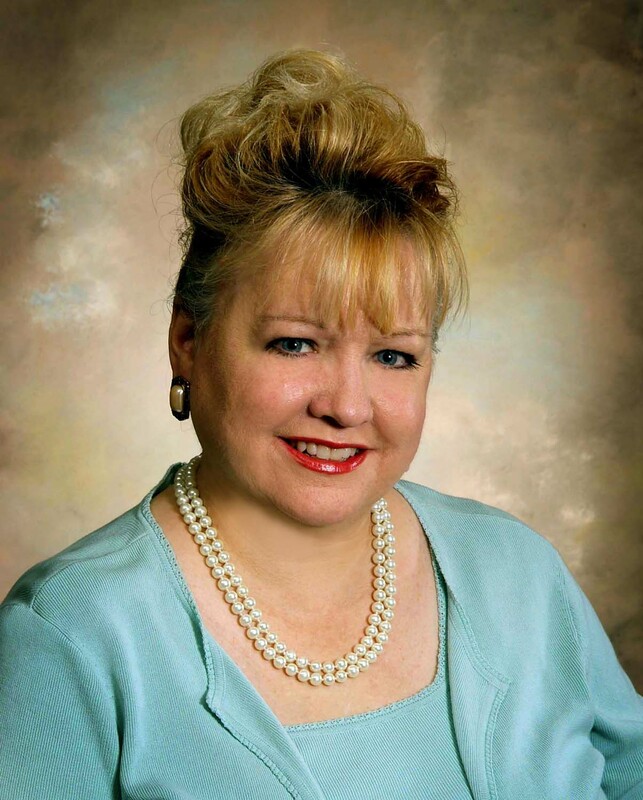 The author of The Lewis Legacy Series and Christmas novellas, Meet Me Under the Mistletoe and its sequel, Starlight, Star Bright, she’s an estate administration paralegal in a Louisville, Kentucky law firm and lives in southern Indiana. 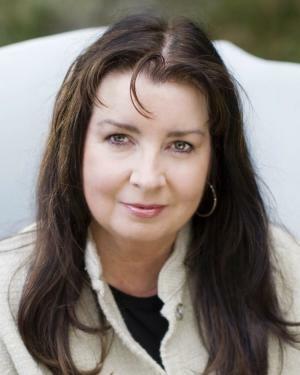 Visit her at www.joanndurgin.com or via her Author JoAnn Durgin page on Facebook. Life doesn’t come with guarantees, and the Lord never promised the journey would be easy. But He did promise to be with us. Serenity has faced many tragedies in her young life, but she’s a fighter, a survivor. As the story of what happened in the past unfolds, the everyday miracles—grace, mercy and forgiveness—of an all-powerful God are revealed in an amazing way. When you cross that door into the world of publication, you put your work “out there” for the world to accept or reject. My debut novel, Awakening (Book #1 in The Lewis Legacy Series) released in November of 2010. I was an unknown author with a new publisher, and the book took a while to catch on, but I’m blessed to say it has done extremely well. On Mother’s Day (of all days) of 2011, my rating on Barnes & Noble for Awakening dropped from a five-star average (where it had been for well over a year) to a one-star rating. To this day, I don’t know what happened. Although it’s probably best if I don’t know, I suspect it was a targeted attack either against me personally or Christian fiction and/or its authors in general. The good news is that as a result of this incident (combined with other author complaints), Barnes & Noble changed their policy regarding reviews. I’ve had something similar happen just recently on Goodreads. Matthew 5:16 is my theme verse for my life and in my writing. In my books, it’s my intent to shine the light of God’s hope, joy and love by adding a little “sunshine” in the form of humor, both in conversation and situations. Life is tough enough with its inevitable heartache and sorrow. A bit of levity helps bring the smile, and the light, to our hearts. In my estimation, humor in our lives is every bit as essential as water, oxygen and, of course, love. Let’s get write to the point with Jennifer. I married a railroader, so I’ve moved around quite a bit, but I was born and raised in the beautiful northwest about an hour north of Seattle. I’ve been writing for as long as I can remember, although I didn’t pursue it as a career and calling until sometime around 2006. Before that it was for fun, venting (i.e. highly depressive teenage poetry) or church ministry events. I write missional romance, which are romance novels about couples who discover and embrace their calling together. My debut, Beyond I Do, releasing from New Hope Publishers this fall, is about a woman whose encounter with a mother, her son, and their abuser sparks a passion that threatens her wedding engagement. As God grows her passion, she worries: Will seeing beyond the present unite her and her fiancé or tear them apart. What I want my reader to take away from the novel is a passion to discover their unique calling and role in God’s kingdom and to follow after that with everything they have. I’d have to say living with chronic illness. Prior to getting sick, I was very active and loved anything physical from hiking to competing in triathlons. (sprints) I was pretty prideful, and felt invincible. Then I got sick. This caused me to rethink who I was and what I was capable of. There are days, when I’m tired or hurting or just plain not feeling well, when I get discouraged or frustrated, and I can say some angry prayers. But then God reminds me of all He’s grown in me through this process, things like compassion, inner strength, surrender. Satan attempts to harm me by inviting me to throw a pity party, but then God gently draws me to Himself, reminding me of the wonderful gifts He’s given me through my struggles, the greatest of which is His unfaltering presence. My struggle has also drawn me closer to my husband, because, seeing me with my “brave face” off, he’s always quick to help, hug, encourage, and pray. Love that man! I have two that go together. The first is Ephesians 2:10 “For we are God’s masterpiece. He has created us anew in Christ Jesus so we can do the good things He planned for us long ago.” The second is found in James 3:13-17 “Now listen, you who say, ‘Today or tomorrow we will go to this or that city, spend a year there, carry on business and make money.’ Why, you do not even know what will happen tomorrow. What is your life? You are a mist that appears for a little while and then vanishes. Instead, you ought to say, ‘If it is the Lord’s will, we will live and do this or that.’ As it is, you boast in your arrogant schemes. All such boasting is evil. If anyone, then, knows the good they ought to do and doesn’t do it, it is sin for them. Combined, these verses remind me God loves me, has a plan and a purpose for me, and is committed to working out that plan. I don’t have to understand it all. All I need to do is draw near, listen, surrender, and obey. 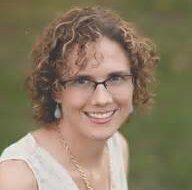 You can find all three of us at Inspyromance.com, along with nearly 30 other Inspirational romance authors, and you can find me at my home site, jenniferslatterylivesoutloud.com. Last but not least is Valerie. She will be visiting us again next Wednesday you will hear more about her book and I will be reviewing it as well. Hi! I’m Valerie Comer. I live on a small farm in southeastern BC, Canada, with my husband. I’m the proud grandmother of three adorable little girls, who keep me from spending too much time with nose in my laptop. I’ve been writing for about 12 years. I’m so blessed to have been born and raised in a Christian home. I became a believer as a child, which has it’s own challenges at times. 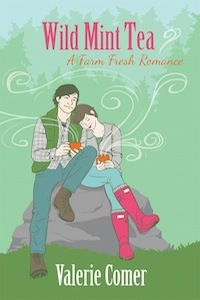 My second novel, Wild Mint Tea: A Farm Fresh Romance, releases March first. I hope readers will close the cover with a sentimental sigh, reluctant to part with Claire and Noel and their friends. May their lingering thoughts be of God’s faithfulness to those He calls. Thanks so much ladies for taking the time to share with my readers. I pray God will bless all of your journey’s. 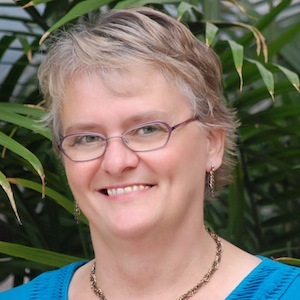 Readers, JoAnn is giving away a copy of her book, Catching Serenity, to one commentator. Leave a comment by March 4th at 5:00 pm to be entered. A year’s worth of novellas from twelve inspirational romance authors. Happily ever after guaranteed. Susanna has found her true prince, and their happily ever after is just around the corner. But when Nate asks her to give up something precious to her, Susanna can’t help but wonder if it’s a sign that their love is not meant to be. Susanna Truitt (Once Upon A Prince) is three weeks from royalty. She’ll soon marry King Nathaniel II of Brighton Kingdom. But when the government insists she renounce her American citizenship before the wedding, coupled with the lack of involvement by family and friends, Susanna’s heart begins to doubt whether this marriage is God’s plan for her. Nathaniel would do anything for his bride-to-be. But he knows his position requires that she give up a lot to be with him. Her life will never be her own—right down to her very identity. When she travels home to St. Simon’s Island, Georgia, right before the wedding, Nathaniel fears she won’t return. Gathering his courage, he devises a plan to win his bride all over again, and together they seek out a kingdom to treasure above all. I am so loving this series. This book was great because I read Rachel’s Once Upon a Prince. You can read my review of that book here. Basically, I loved that book and the characters and I got to visit them again in A March Bride. I was so excited to read about Susanna and Nathaniel again and get to see their wedding. But, what I loved even more about this book was the spiritual thread I could pull out. A common girl marrying a prince, doesn’t that sound familiar? Yet Rachel took that even further. I don’t know about you but I have struggled at times with giving up the old Melissa and leaving all the things behind that once gave me my identity and truly embracing who Jesus says I am. When we come to know Jesus we give up this earthy citizenship and we become citizens of the Heavenly Kingdom. Even though that sounds great it can be scary to truly surrender to God, can’t it? Susanna must deal with these same issues but in the earthly sense. You will just have to read the book to see exactly what I am talking about. As you read I challenge you to remember that Jesus is romancing you in the same way that Nathanial is romancing Susanna. He loves you so much and will stop at nothing to prove it to you. Open your eyes and see your Prince. A copy of this book was given to me by the publisher through netgalley.com in exchange for in honest review. I wrote this devo several years ago before my son even started school and it was only my daughter leaving the house, but I love the truth in this. Hope you will be blessed. Every morning I stand at my door and watch my daughter walk over to the neighbor’s house. I watch to make sure she gets there safely but I also watch and wait because there’s a chance she’ll turn around and wave at me. As she prepared to open the door and walk into the neighbor’s house she turned toward me smiled and waved. I waved back, happy that I waited so I could be there for her. God waits in the doorways our lives, our days, waiting to be invited in. He waits on the wonderful moments when we remember Him and turn to Him. He watches to make sure we get to where we need to go safely. Most days and moments we forget that He’s there and we keep marching along our merry way. But that doesn’t mean He isn’t there. He wants to be there so when we do need Him to be He is at the ready, more than willing to wave back and do whatever is necessary for His child. How sad that we don’t always remember that He stands at the door of our hearts. How sad that we often forget about Him and completely ignore His willingness to love us. I know how my heart smiled when my daughter waved at me today. Can you imagine how much more our Heavenly Father would smile and be pleased if we turned to him always, if we never did anything without realizing that He is with us, always? Life becomes a great challenge when we go about our own way without taking the time to remember our Father is watching and waiting. He longs to be there for us but He won’t thrust Himself on any of us. He is patient — thank goodness — and loving. Next time you are running around and feeling alone turn toward your Father, He’s standing in the doorway of your life. Why don’t you invite Him to stay awhile? What about you? Are you going about life trying to make it without taking time with God? Or are you inviting Him into your life? Forced to flee war-torn Jerusalem in 70 A.D., Rebekah and her husband, Ethan, each take something of value: Rebekah, the cup of the Last Supper; Ethan, a copper scroll detailing the whereabouts of a vast Temple treasure. Ahead, separation and danger face them as each tries to survive. But it’s not only external forces that could keep them apart forever but internal ones as they struggle to discover where their true treasure lies. I really enjoyed this book. It takes a different twist in what happened several years here on earth after Jesus returns to the Father. Very interesting. The book opens with Rebekah and her sister preparing for the last supper (although they don’t know it’s the last supper). They don’t have enough cups for everyone so Rebekah has to share her precious cup. She only wants Jesus to drink out of it and she has to figure out where he might sit. Years later she still has the cup, and yes, Jesus did drink out of it and she treasures this item. As battle breaks out in Jerusalem Rebekah and her daughter leave their family behind and flee the city with the cup. When they find their new home Rebekah shares the cup with other believers and people begin to experience healing. Yet Rebekah’s own cries for healing in her daughter’s life seem to go unanswered. Meanwhile, Ethan, Rebekah’s husband and sons are fighting for their lives and are given their own treasure to guard. How will this family be reunited? And will the cup end up causing more trouble than good? Will the people make it an idol and worship the creation more than the Creator? To find out you will have to read the book for yourself 🙂 There’s not a dull moment in this book, you’ll be flipping pages too see what happens next. Grab your copy at Amazon, Barnes and Noble, or Books-A-Million.